Win-Casinos.net :: How Casino Payouts are Calculated in Different Casino Games? A casino is a money making organization and as such exists to make the owners a profit. This profit is earned by players losing money in the casino. The casino management has to calculate the odds of a player winning while playing any game in the casino. This is called the House Edge. The House Edge will vary from game to game. A casino has overheads that have to be met. Licenses have to be paid for. Taxes paid to the government, and all staff members need their wages. In a real casino (bricks and mortar casino), the overheads are much higher than those of an online casino. This is because there is very few real staff required. Another contributory factor is that there is no maintenance required to the fabric of the casino. No redecoration or replacement of equipment. Bearing these factors in mind, it is quite clear that an online casino has much lower overheads and can offer a more competitive House Edge than a real casino. 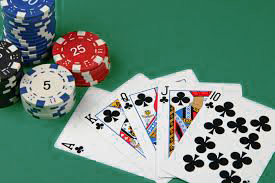 In every game in the casino, there are different House Edges that are applicable except in Blackjack and Poker. This is because the two games require a level of skill and are not based purely on chance. Click here to learn more about poker and how it’s played professionally. The House Edge must be displayed in a prominent public position in full view of all prospective players. As an example, when a person places a bet on the flip of a coin, there are two outcomes – heads or tails. If a player had placed a bet of one chip and won, they would receive two chips in return. This is called playing for True Odds because the outcome would be 50 – 50, either heads or tails. When the casino applies House Edge it is not paying True Odds it is a lesser percentage. If the House Edge was declared at 90%, then the winnings on the outcome of a coin flip would mean that the winning player would only receive 1.9 chips. The house would retain .1% of the winnings. As a further example, roulette House Edge is set at 5.26% on a 38 number table. The odds of the player winning are 37 to 1. The 5.26% is calculated by dividing the true odds by the winnings paid. A player who places a bet and wins 35 chips plus their stake of 1 chip receives 36 chips. The difference between the two numbers is 2. Divide 2 by 38 and the result is 5.26% which is the House Edge.